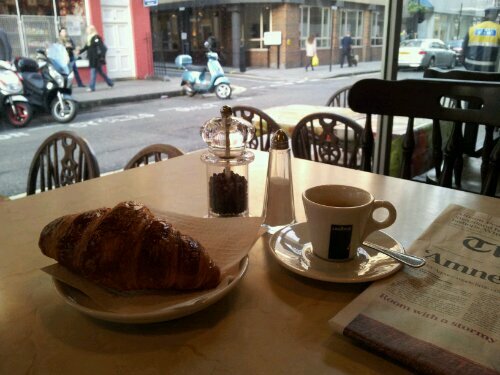 Anywhere with a free croissant with every hot drink before noon is a find, especially this central in London. With an espresso a reasonable £1.50, free newspapers and lots of tables and food, it’s got to be one of the most complete coffee offerings in London. Enjoy!